If you’re like me, Fangirls, you grew up in Hogwarts with Harry, Ron, and Hermione. You attended magical classes, you fought the Dark Lord, and you loved every moment of it (ok, almost every moment…seriously J.K. were the giant spiders necessary?). And when it was all over, you cried as your characters went on with their lives but you wouldn’t see it. You wouldn’t be joining this magical world again to see new creatures and learn new spells. Until now, that is. The first trailer for the new series in the magical world, Fantastic Beasts and Where to Find Them, was released this past weekend. And again, if you’re like me, you watched with wide eyes and fond memories. First things first. Watch the trailer below. If you’ve already seen it, watch it again. I’ve seen it a few times already. 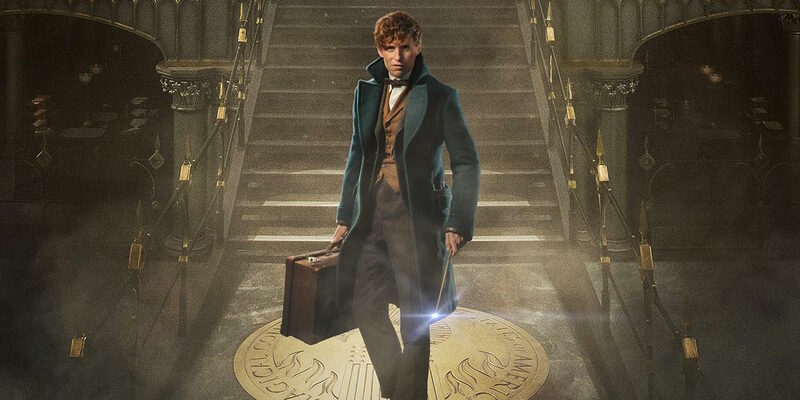 The first thing I want to talk about is Eddie Redmayne as Newt Scamander. How adorable is he? I personally don’t know much about the character of Newt other than what the trailer tells me and that in the books he is responsible for writing the textbook “Fantastic Beasts and Where to Find Them.” But look at his precious adorable innocent face. Eddie Redmayne is a fantastic actor and I have no doubt he’ll be amazing as Newt. Second, let’s talk about Colin Farrell’s voice over. Not only does it give us a ton of info – while also not giving us enough information – it’s delivered wonderfully. The overall casting of this movie is going to be spectacular. It’s an even mix of well known actors and unknown actors, and again I have zero doubts that it’ll be fabulously done. Thrid, J.K. Rowling herself wrote this script and the script for the two other movies in the trilogy. I’ve kept up with her writings both on Pottermore regarding the wizarding world and as Robert Galbraith. She has only grown as an author, especially with her pseudonym. I’m thrilled that she wrote this series and I can’t wait to see if anything grows from this series (cough a series about the Maurauders please cough). Needless to say, I will definitely be one of many in line for the midnight premiere holding my wand high in the air. I have absolute faith that this movie and this new trilogy will not only expand the wizarding world, it’ll open doors to so many more expansions. I can’t wait to see what the future of the wizarding world holds.